The Healthcare Cloud Computing Market is segmented by Application (Clinical Information Systems (CIS) and Nonclinical Information Systems (NCIS)), Deployment, Service, End User, and Geography. The major factors for the growth of the healthcare cloud computing market include the rise in adoption of information technology in the healthcare sector, access to advance technology, such as machine learning, and usage of cloud reduces cost and improves scalability, storage, and flexibility. Cloud computing is the practice of using a network of remote servers hosted on the internet, to store, manage, and process data. It does not require or use a local server and significantly reduces the overall cost by cutting infrastructural expenses. In addition to one-time set-up cost, maintenance cost is also huge in case of a cloud. According to the Healthcare Information and Management System Society (HIMSS), a global not-for-profit organization focused on better health through Information Technology (IT), survey for 2014, the top two drivers of cloud computing are faster deployment and scalability and access to advance new technology, such as machine learning. Healthcare can generate quantum of data, from patient background information to image and video data. To effectively store, as well as process this data, advanced computer with high computation power is required and to have such systems in a healthcare institution, providers may have to invest much more than what they have invested so far. Hence, a considerable amount needed for proper IT infrastructure set-up is restraining the healthcare providers from setting in-house set-up and going cloud service. Faster deployment and scalability and effective storage and processing are the factors expected to fuel the market growth. As per the scope of this report, cloud computing can be defined as the practice of using remote servers in place of local server or network, to store, manage, and process the data. Therefore, the use of cloud moves the data center infrastructure outside of the organization. This report analyzes and discusses the market for cloud computing in the healthcare sector. The revenue from cloud services has been tracked in the report. 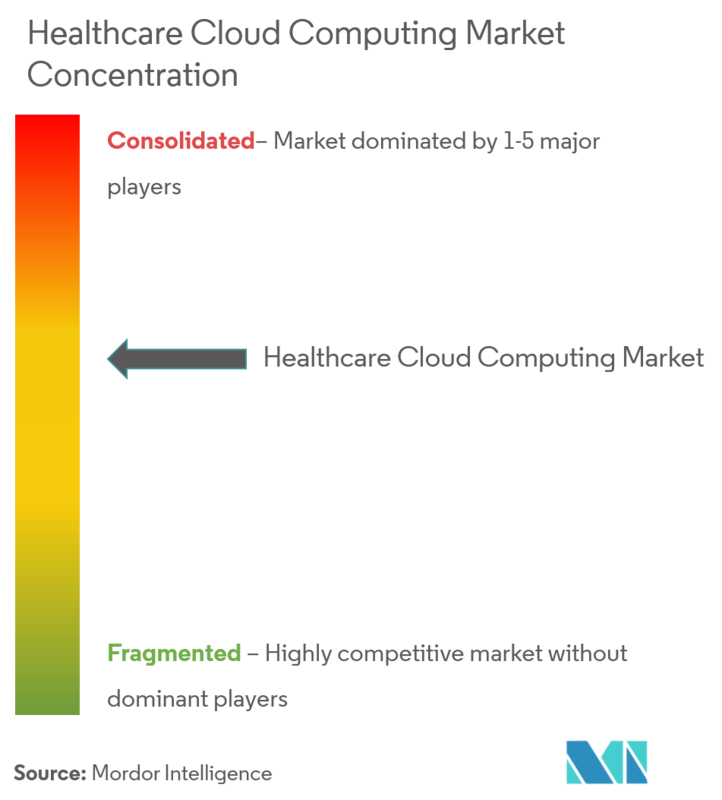 The healthcare cloud computing market is segmented by application, deployment, service, end user, and geography. According to the Center for Medicare and Medicaid Services (CMS), EHR is an electronic version of patient health information, including patient demographics, progress notes, problems, and medications, vital signs, past medical history, immunizations, laboratory data, and radiology reports. However, sharing of data has not been that easy till now, because of the lack of interoperability. Interoperability is not only among the products of two different manufacturers, but also sometimes among the product of the same company. However, the situation is changing rapidly and companies are working to develop more patient-friendly interoperable devices. A complex healthcare system requires diverse EHR products that must be able to share information seamlessly. An interoperable EHR makes this possible by enabling better workflows and reduced ambiguity and allows data transfer among EHR systems and healthcare stakeholders. According to a survey conducted by the Software AdviceTM in 2015, 46% of patients want their doctors to directly exchange their medical records instead of in-person delivery. The high cost is a restraining factor, however, the United States Government is giving sufficient incentives monetarily to minimize its effect. The Centers for Medicare and Medicaid Services (CMS) paid more than USD 30 billion as financial incentives to more than 468,000 MEDICARE AND MEDICAID providers for implementing the system. Thus, owing to all aforementioned factors the market is expected to witness high growth rate over the forecast period. 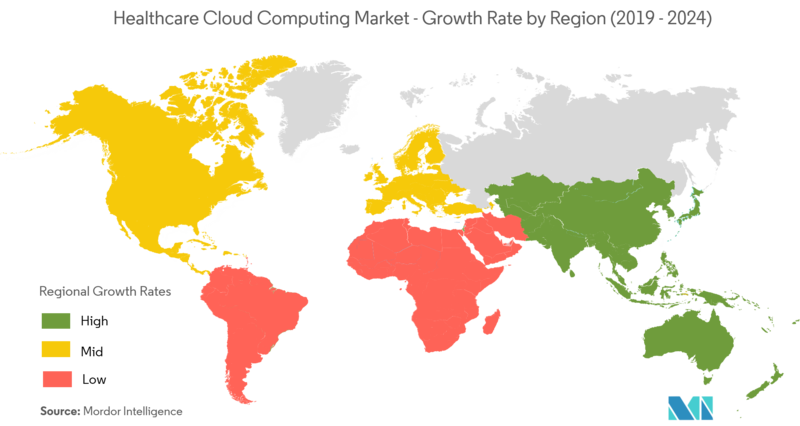 North America is found to hold a significant share in the healthcare cloud computing market and is expected to show a similar trend over the forecast period, without substantial fluctuations. The United States is a leader in the healthcare cloud computing market, mainly due to the high adoption rate of healthcare IT services and continuous support, financially and otherwise, from the government agency. The implementation of the Health Information Technology for Economic and Clinical Health Act (HITECH Act), primarily to stimulate the adoption of EHR and supporting technologies in the country. According to the Act, starting from 2011, healthcare providers would be offered financial incentives for demonstrating meaningful use of EHRs until 2015, after which, time penalties may be levied for failing to explain such use. Cloud-based services are helpful for everyone. Most healthcare institutions neither have the time nor resources to devote to cybersecurity that an established cloud provider may have. Moreover, it is hard to believe that any established cloud provider may leak data or allow the leakage of data knowingly. Thus, owing to all aforementioned factors the market is expected to witness high growth over the forecast period. 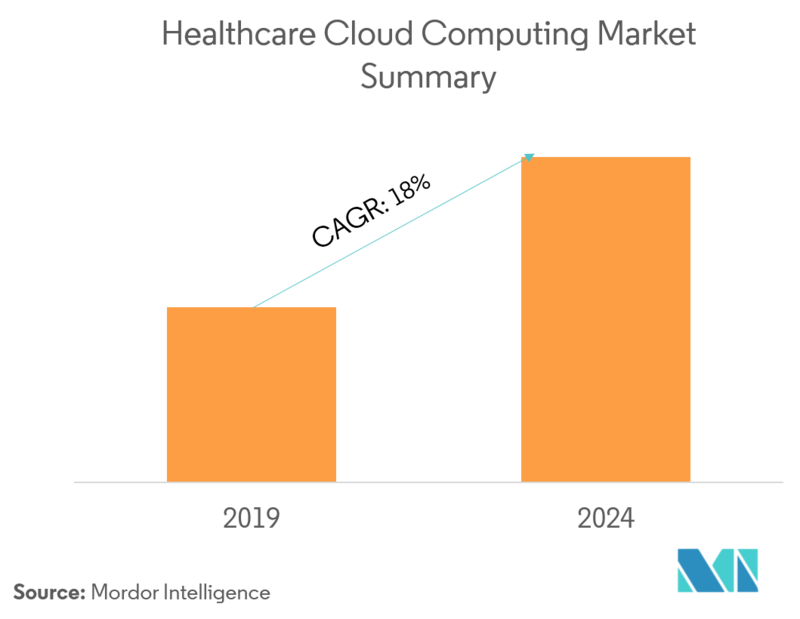 The healthcare cloud computing market is a moderately consolidated market, owing to the presence of a few key players in the market. 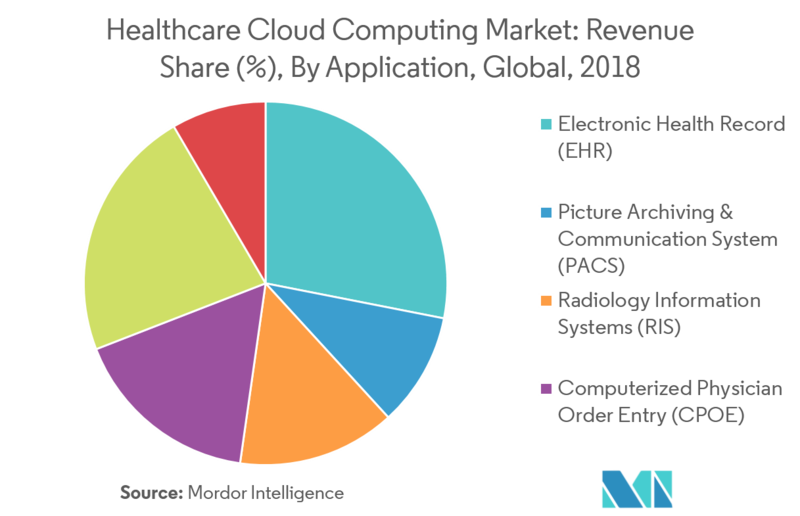 The companies are applying powerful competitive strategies to gain more market share in the healthcare cloud computing market. 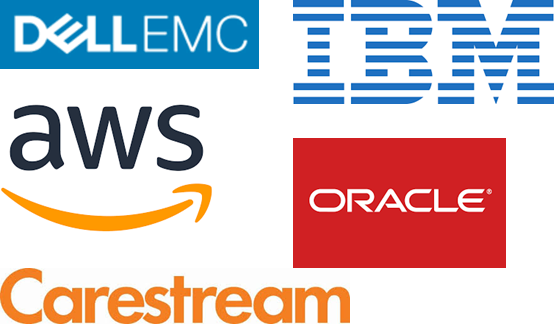 Some of the market players are Athenahealth, Inc., CareCloud Corporation, Carestream Health, Dell Inc., IBM Corporation, Oracle Corporation, and Siemens Healthineers. 6.1.1 Amazon Web Services Inc.